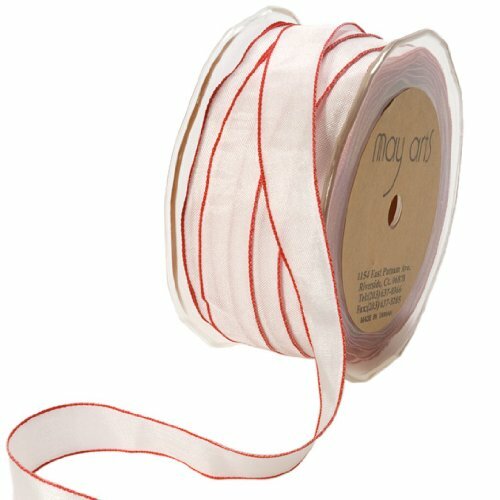 This 5/8 inch by 50 yard iridescent light pink ribbon with red edges is simply beautiful. Use it in your jewelry designs, art projects, and ribbon embroidery projects. Hang ornaments, tie on small packages, and decorate handmade cards, scrapbook pages and so much more.